A crap blog, Outliers again, and Homer may have been a monkey! It was never my intention for this blog to be a wonderful, well written, well thought out series of articles that would help other traders in their battles with the market. Well I might have dreamt about it. As you may have noticed the content is actually quite crap. When I have tried to emulate others by attempting to to address problems I have found in the trading trenches, in a intellectual and artistic fashion it often looks terrible in the finished form. The thoughts in my head don’t seem to be transferred to the articles in any way that satisfies me. A low IQ and a lack of artistry doesn’t actually bother me though, as this blog is my own crap account of my journey to be a successful trader without any advertising or affiliations that would make it appear I have other motives for writing it. 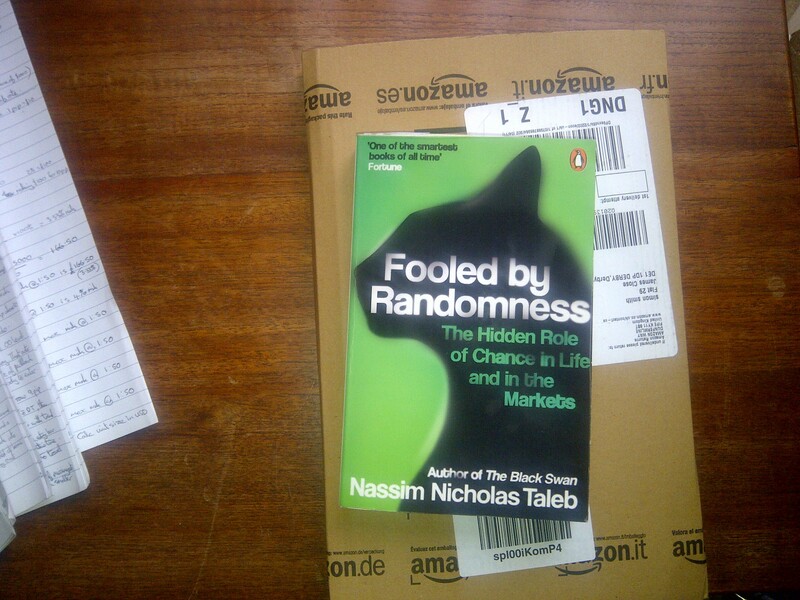 If you think you have a high IQ then you might like the Nassim Taleb book I’m reading at the moment, ”Fooled by Randomness.” The messages in it are brilliant, but the academic style, huge exaggerated wording and scientific name dropping is well too much for me to take in. Lucky though it was Taleb and not some of the clever bastards he writes about, or the lucky rich fools that he puts down, that wrote it. Lessons to be learnt here, but when will you ever know if you are the lucky fool or the clever unlucky one? A bigger sample of results here folks may actually be the opposite of what we thought that basic probability theory was telling us. Note in the book about if a billion to the power of one billion monkeys were put in front of a typewriter it would be highly probable that one may produce an exact copy of the Illiad. Still if you’re interested in risk management its well worth a read. Only up to page 143 on double survivorship biases myself so I thought I’d drop Taleb’s name in to this weeks post to boost my own writers ego. That being said I do like to read the well written and researched blogs of others like Shonn Campbell, Matt LaCoco, Scott Welsh and James Clear and listen to Rob Booker doing the same with his words and thoughts on the traders podcast. I was going to add Allen Barry to my ever growing smaller list of followees, for he has one really good website and forum and is certainly a clever man and successful trader, but it’s my opinion that he writes worse than me! Again I don’t think he’s too worried about it, he’s just trying to help other traders as best he can and he does great for me, passes on some really helpful stuff on forex price action scalping and introduced me to some ideas I’d likely never have found elsewhere. 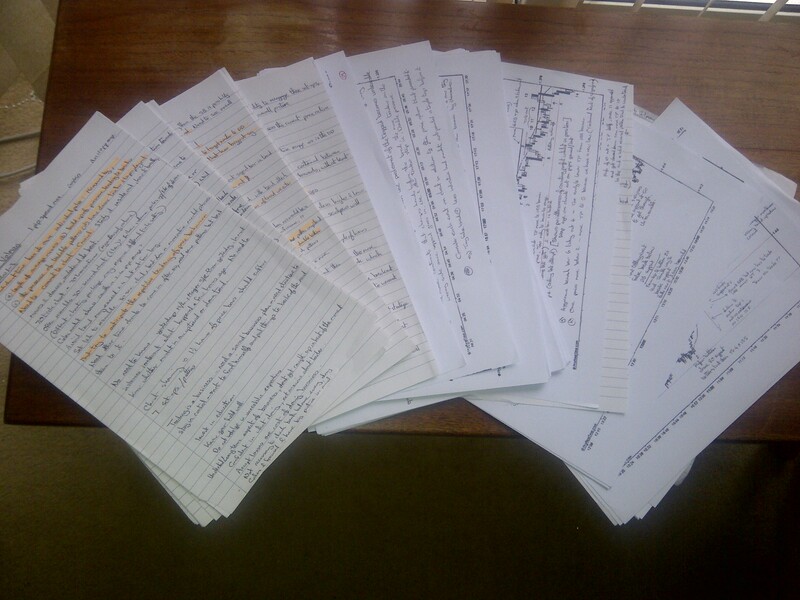 Ok, now I have just completed my fourth reading of Bob Volman’s ”Forex Price Action Scalping.” On the last reading I went through and made 98 pages of A4 notes. 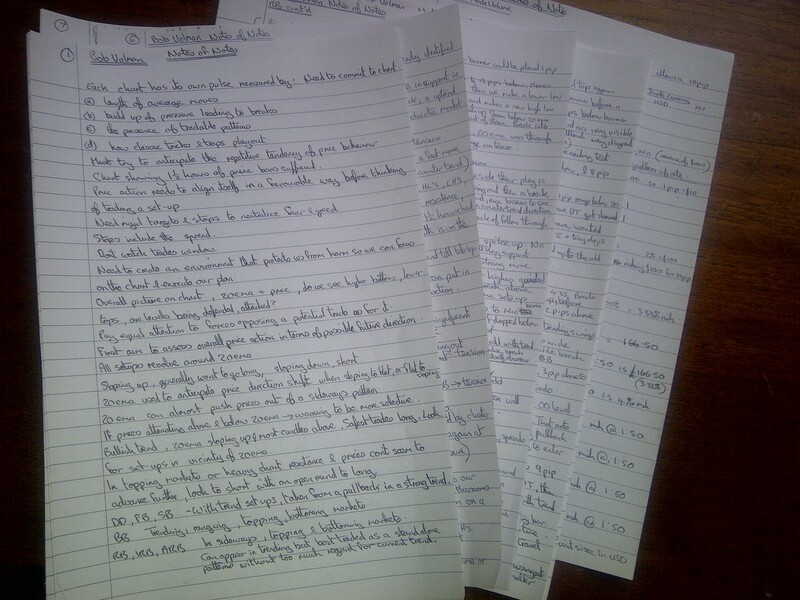 I’ve just been through those notes and ended up with 21 pages of notes of notes. I’m now working through these trying to consolidate them into categories. Call it notes of notes of notes if you wish, but this time I want to really understand what it is these notes are telling me. Then I’m going to have to take each section and focus on simple parts of it on the live charts without actually trading, starting with the most basic aspects and incorporating practice and repetition on live charts. James Clear writes about doing something similar discussing the meaning behind the Outlier’s 10000 hours theory in one of his most recent articles Read this article on JamesClear.com . Duane Hope in his most inspiring interview with Rob Booker ( over a year and a half ago now) mentioned a similar process, quoting Benjamin Franklyn’s method for self improvement in the best selling sales books by Frank Bettger. Anyway I’m not going to go back through this article and edit and rethink it out in any way as it is crap, and it is my crap blog at that. My own focus is not to make this blog great but to make my trading great, so I must not waste too much of my time on what will contribute so little to my future success. Pareto and all. My new Bob Volman book has also arrived but it is still in the Amazon cardboard wrapping and I’ve decided to leave it unopened until Christmas, so it doesn’t distract my focus as so many other books, courses, etc have done in the past. If any one has actually read this far, I thank you and you need to know that you are probably alone and most probably need to get some sort of help and possibly a blog of your own so you don’t have to read my endless waffle. Cheers and here’s a few photo’s to show my artistic side. This one in the shape of a fan is my 98 pages of notes. This one packs the same punch but with only 21 pages. I call this a pyramid of books. 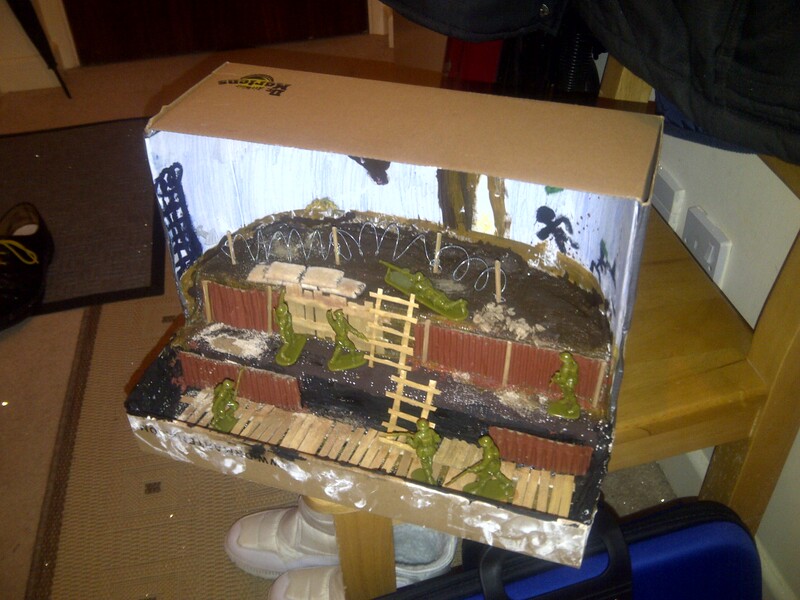 Note the unopened undiscovered tomb below the well researched topping. Thanks for your interesting and well written blog. Having read a book by N. Taleb I remember feeling myself inferior and of low intelligence while reading. I think it was because he makes a point of labeling people, something I don’t like. In the end I am probably both smart and stupid, and a survivor despite my faults. I hope to follow your ongoing process in creating yourself as trader. I apologise if I’m wrong but I guess this is Jon a regular visitor to traderAllens blog? As for Taleb I have to agree, but he does make some interesting points about risk management which aids in the battle with the emotions of euphoria and depression after winners and losers and staying in control. Anyway thanks for the interest in my blog. For me it helps me keep motivated on my own learning journey as I’m always searching for new ideas, and maybe it will help even just one person to do the same. Yes I am. I agree that Taleb has a lot of interesting points, I follow him on Twitter sometimes. Been dipping in and out of your blog for the past few days. Enjoying it. You’re right though, I probably need to get some sort of help! Thanks for your comment Paul. Appreciate it.